Articles on how to Do It Yourself. Visit our salvage yards to find the best used auto parts in Salt Lake and Ogden. Today’s cars are full of technology. 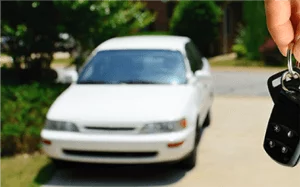 When a sensor detects a problem with this technology, your car’s computer pops a code, and the check engine light usually comes on. This light means there’s a problem somewhere in the system. But, without reading the codes from the onboard computer, you won’t have any way of knowing where the problems are. You could need a new evaporative canister vent valve, your car could be misfiring, or your car could have one of the hundreds of other issues. With so many possibilities, you need diagnostics to pinpoint the problem. You could take your car to the mechanic for a diagnostic, but that gets expensive. Code scanners to the rescue! Who actually buys auto parts from a salvage yard? Turns out, lots of people! After all, used auto parts cost just a fraction of brand new ones. Especially if you’re willing to get your hands dirty by pulling the part yourself. At Tear-A-Part, our client base is large and diverse. To give you a better idea, here are four types of customers we frequently work with. We know, your car has lots of parts. And many of them look alike. Or some assemblies have multiple pieces and you only need to fix a single piece. It’s easy to get mixed up – especially if you’re new to pulling parts. Or when you’re in a salvage yard working on a car that isn’t yours. The last thing you want to do is get home and realize that the part you pulled won’t fit. Or that you pulled the wrong one. The good news is that if you pulled the part from Tear-A-Part, you can take advantage of our 30-day exchange policy – easily returning the unwanted piece. But you’d still have to make another trip, blowing another part of your day. And you’ll have to spend more time in the lot pulling the right part when what you really want to be doing is just fixing your car. It can be a time waster for sure. To avoid this situation, follow these four tips to ensure you pull just the part you need – every time. Car repairs can be expensive – especially if you’re hiring a mechanic to do the work for you. Besides shelling out money for parts, you’ll also be paying a premium for labor. Each hour that the official books say the repair should take will be added to your invoice. And that adds up quickly! But, there are several car repairs you don’t need a mechanic to do. These repairs are straightforward and don’t require a ton of specialized tools. So roll up your sleeves and prepare to get your hands a little dirty with these five basic car repairs. Your wallet will thank you! An air filter ensures that debris and dirt don’t make their way into your car’s engine. It’s important to change it out regularly. How? Pop your hood and look for the large plastic housing unit. It’s often along one of the sides. Once you’ve found it, you’ll want to examine it to see how it’s connected. Going Parts Picking? Bring These Tools Along! Close your eyes and picture a mechanic’s garage. Now hone in on the tools. Are you seeing them? Lots and lots and lots of tools. How do they know which to use? Well, they’re professionals and have likely received education, training and certifications that you have not. For example, you already know you’re saving a ton of money buying your car part from Tear-A-Part. But, you might be a little unsure what tools you need to bring. After all, there are tons of tools on the market for taking parts off cars… And for putting them back on again. Are you supposed to bring your entire tool collection on-site, just in case? Won’t all those tools get heavy to lug around? Don’t worry. There are several strategies to find out what tools you should bring. Buying auto parts at a salvage yard is a great way to save money and help reduce pollution. But buying used auto parts isn’t as simple as walking into an air-conditioned store and pulling what you need off an organized shelf. I.e. At the salvage yard, you’ll be using your tools to remove your new (to you) parts from a car out on the yard. You’ll be getting your hands dirty. You’ll be exposed to the elements. That means you’ll also need to be careful, and follow all of the safety rules. To help you accomplish that, here are seven ways to stay safe the next time you’re pulling your own parts. You might not win any fashion awards with your part-pulling attire, but choosing the correct clothes and shoes will help keep you safe. Are you in need of a few new decor ideas to spice things up around the house? How about using recycled car parts for a unique twist to your homestead? Why? Are there any special road trips on your agenda this year? If so, it’s wise to remember that the extra miles combined with the heat can definitely take a toll on your car. It probably needs a little extra love to ensure it will be roadworthy all season long. Not sure where to start? Here are seven simple steps to take before your summer driving fun begins. Your radiator protects your engine from overheating. And running a vehicle that’s too hot can crack the engine block or warp the cylinder head. To avoid those expensive repairs, make sure your engine’s cooling system is in tip-top shape. WARNING: Never remove a radiator cap on a hot car. Put your safety first, and let your car cool before proceeding. You’ll want to check the coolant level in your car. If you need to add more, don’t add straight water. Instead, add coolant or antifreeze. Then once your coolant is topped off, it’s time to check your hoses. There are several heater hoses that cycle the coolant to all of the engine’s components. You’ll want to visually inspect each of these – looking for dry, cracked hoses.